Have you made any fun jewelry purchases lately? I love your style! My fave is the tortoise link bracelet ... Loren Hope just consistently knocks it out of the park. 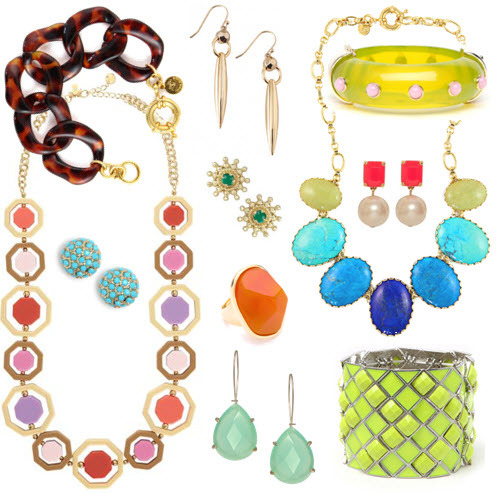 Lovely Summer bling, so vibrant. Love that cuff and Ring! you have a lovely blog - i'm excited to follow! loving these picks! especially the bangles. gahhh i'm such a sucker for great accessories. love the tortoise link bracelet, and those turquoise studs!